Embed static info (i.e. enhanced map data, speed limit, curvature, asphalt characteristics, etc.) 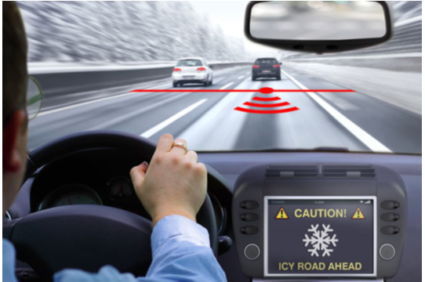 to be transmitted to the vehicle, that are programmed after deployment and reprogrammed when the use of the road changes or during road works. Receive dynamic info (i.e. TMC messages), process and transmit them to the passing vehicles, to be offered to the driver/rider in a personalised manner. Measure dynamic environmental parameters (like temperature, humidity, water, ice, oil, smoke) and accurately estimate each vehicle’s friction coefficient (through road sensors data fusion with vehicles’ intelligent tyres’ info). Sense passing vehicles, including non-equipped ones, measure the transit time, speed and lateral position in the lane, provide basic classification of the vehicle type and, thus, offer key road load & circulation data to the TMC. Sense pedestrian crossings, work zones, railway crossings and other critical areas and warn the driver/rider well ahead of them. Enable high accuracy and low cost automatic parking/tolling/insurance policies. Define and manage lane-level virtual corridors for automated driving. 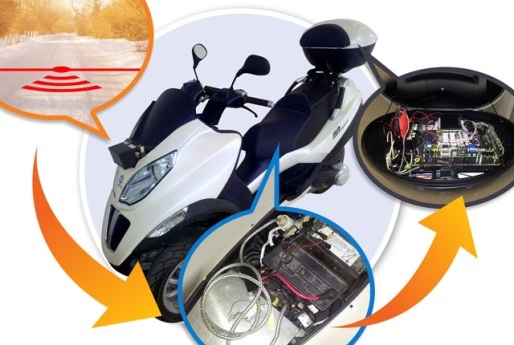 Through the communication of the On Road Unit (ORU) and the On Vehicle Unit (OVU) by means of an IEEE802.11p enabled microcontroller &communication module. ORU embeds the on-road sensors (e.g. humidity, ambient light detector, temperature, etc. 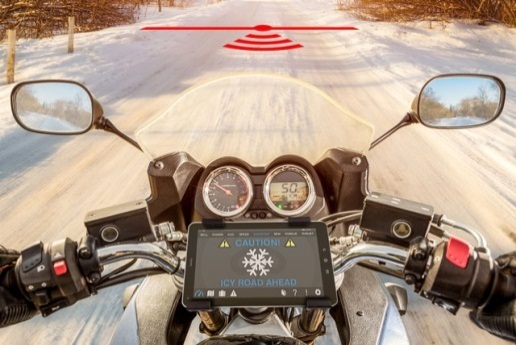 ), which are wired on a IEEE 802.11p enabled micro-controller and communication module capable for interfacing with the road sensors (e.g. through a GPIO h/w interface). One ORU is installed per lane of the road. Data fusion is processing incoming data from the road, the tyres/friction coefficient estimation module & the CAN Bus. Decision making is running in the OVU & notifications /warnings /recommendations are sent to the on-board HMI (or the smartphone). 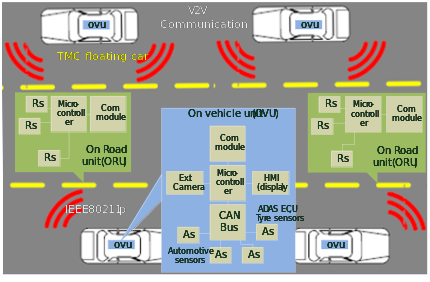 TM applications are enabled through V2V communication between the equipped cars and the TMC floating cars (by use of the IEEE 802.11p standard). This approach relies on an infrastructure-based Long Term Evolution (LTE) cellular network architecture. 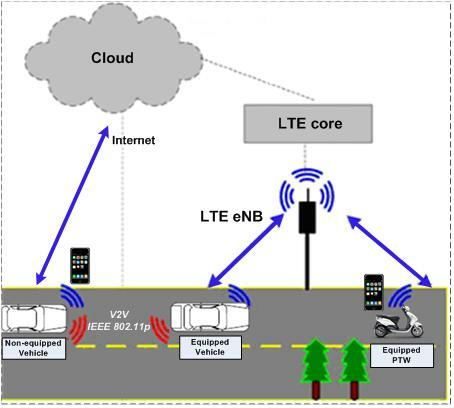 OVU or smartphone samples and gathers the relevant information and periodically exchanges beacon messages with other vehicles via the base station node (eNB in LTE) of the cellular network. Transmission of the ORU captured data over the infrastructure-based TMC network through the base station node (RSU) wirelessly. OR by exploiting the V2V communication capabilities between appropriately equipped cars, and through the TMC network, by involving TMC floating cars. Communication between the ORU and the RSU is handled through a micro-controller with wireless communication capabilities (e.g. through IEEE 802.11b/g/n). DESCRIPTION: PTW with upgraded functions thanks to info provided by the system.